Yearly or six monthly veterinary health checks by our highly trained doctors are one of the best ways to keep your pet healthy and detect problems early. Complete veterinary health examinations are the foundation of any preventative health program. Our veterinary health examinations routinely include a check of the patients weight, temperature, ears for ear mites and fur for ring worm. A veterinary health examination is performed on your pet prior to any vaccinations. The policy of the British Veterinary Centre is that prevention is better than cure, and as such we recommend routine vaccination for all pets where possible. The Leptospirosis and Parainfluenza vaccinations need annual injections to provide full immunity. Immunization begins with the primary course of vaccinations whether as puppies or adults. The primary course of vaccinations involves an injection which can be started at 8 weeks of age for the earliest full protection for puppies and is then repeated every 2-4 weeks up to the age of 16 weeks. In adult dogs just two vaccination 2-4 weeks apart are needed. Thereafter annual vaccinations are necessary to maintain full protection. A common scenario encountered in the UAE is the pet bought from the pet shop that comes to the veterinary clinic with a “completed” vaccination record but when examined we find that the age in the vaccination book is not appropriate with the actual age of the pet infront of us. We believe this situation arises because pet retailers desire to import and sell the pets younger than the legal age of entry in the UAE - which is 4 month of age. To get around the age limit, the vaccine book date of birth is dated as older than the actual age and the vaccines are “given”. We say given because once one part of the document can be falsified then one wonders if any part of it can be trusted? Infectious pet viral diseases are all too common in Abu Dhabi and we therefore recommend that if the paperwork looks doubtful that the pets is vaccinated at the BVC and a BVC Pet Vaccine Book issued. Kennel Cough - The Bordetella Kennel cough vaccine needs annual booster vaccinations to give continued protection. It is administered by way of nasal drops. It is a requirement of kennels in the UAE that this vaccination is given prior to the pet entering the kennels. Failing to give it can mean a spell in quarantine at the kennels. Rabies – primarily for all dogs and for pets travelling abroad and for the Pet Passport scheme. The initial vaccination should be at 12 weeks of age or older and then at least every three years. For pets likely to travel it may be better to give the vaccination annually to avoid unwanted delays in the case of travel to countries requiring annual vaccination. Pearl of Wisdom, annual vaccination also almost completely takes away the risk of inadvertently voiding a PETs travel document through being late on a three-year vaccine booster. These two are combined as one injection. Kittens need to be 9 weeks of age or over to start the primary course, which involves injections at a 2-3 week interval up to the age of 16 weeks. Once an individual has been fully protected annual single booster injections are necessary to maintain protection. We recommend this vaccination even for indoors only cats as the viruses are very prevalent in the UAE and can be brought indoors on articles of clothing from the street. Feline Leukemia (FeLv) Vaccination We don't routine advise Feline Leukemia vaccination. There is a nonexistent risk for exposure to the disease in indoors only cats. It may be something to consider for an outdoor cat. People who have imported a cat from a country where Feline Leukemia Virus Disease is more prevalent, like the UK or mainland Europe and who intend to return may wish to maintain the leukaemia vaccination while in the UAE. When kittens or adult cats of unknown history are introduced into a household already with a cat or cats we strongly recommend testing the new individual for FIV and FeLV to protect those already present. 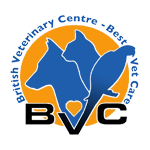 The test is run in-house at the BVC and the results can be ready as early as 15 minutes after the blood sample is collected. The test can be run before vaccinations are given. It's also not a bad idea annually for those outdoor cats that are scrappers. We do not routinely vaccinate for Chlamydia although this can be arranged. At this time in the UAE we do not routinely vaccinate rabbits since we have not seen any of the two common rabbit disease - Myxomatosis or Viral Hemorrhagic Disease – that have available vaccines. Endoparasites - the internal 'worms' including various roundworms, tapeworms, whipworms and hookworms. Each has a different life-cycle and can cause a variety of problems. Ectoparasites – live on or near the skin surface and cause problems such as skin irritation and allergies or can carry diseases and other infections. Control is thus vital for the well-being of our pets.